East meets Midwest at the 15,000-square-foot The Peninsula Spa Chicago, where down-to-earth hospitality complements a full range of Asian-inspired treatments. 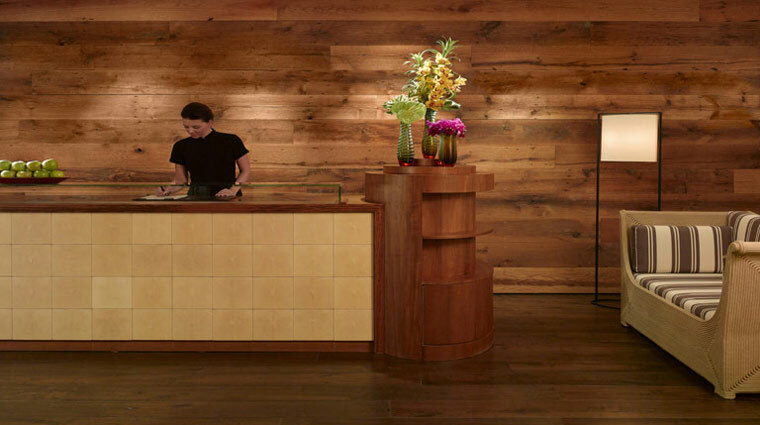 The spa reception area is located on the 20th floor of the Five-Star hotel, a warm, intimate space with a dark-wood plank wall behind the desk. Much of the decor of the spa is similarly inspired by nature with wood materials and soft earth tones that create a cozy urban refuge. Begin a visit by stepping through a giant oak door to enter the relaxation lounge, a tranquil space with plush loungers that set the mood for serious pampering. And pampered you will be with the deluxe treatments here — both modern and time-tested — performed in one of the low-lit eight treatment rooms. There is also a slew of luxurious amenities such as an impressive indoor swimming pool, plush locker rooms, a fitness center and a yoga room. • Views from the indoor, half-Olympic-sized pool area are spectacular. An entire wall of floor-to-ceiling windows looks out over the city skyline. 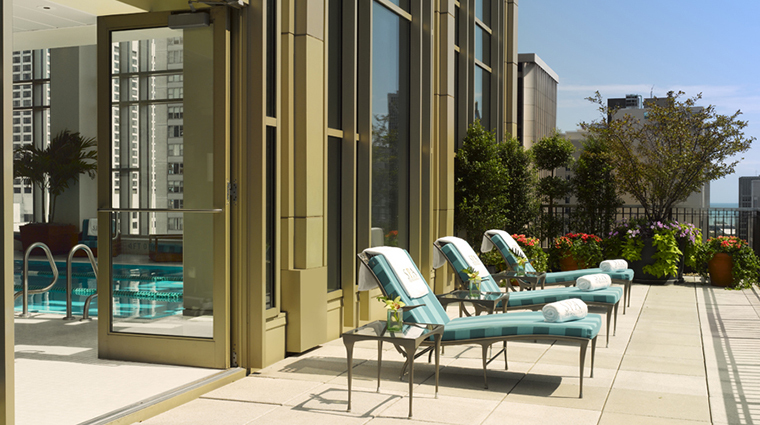 • Adjacent to the pool is a lovely outdoor sundeck (a very rare find in downtown Chicago) with luxe loungers, chilled towels, complimentary flavored water and those killer city views. 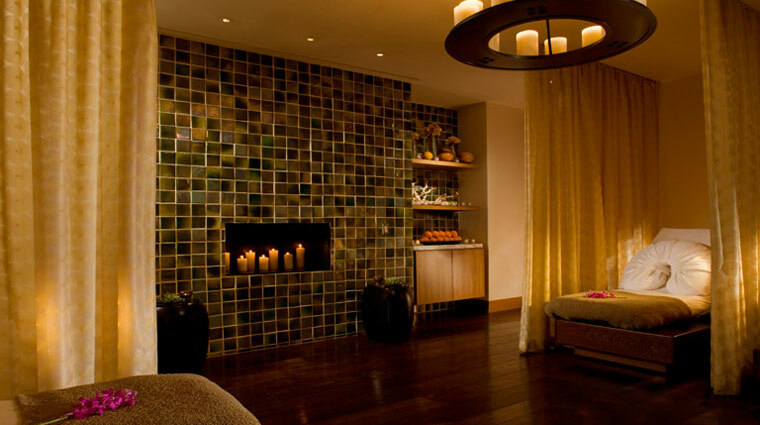 • The relaxation room is something special — the quiet, dimly lit space has ultra-plush beds with privacy curtains, dark wood floors and a cozy fireplace. Light refreshments come in the form of nuts, dried fruit and specialty waters. • A fitness center with large picture windows and views of Lake Michigan make logging time on cardio machines less of a drag and more of an inspiration. The center also has a yoga room and more than 20 fitness-focused classes a week. • The Peninsula Chicago is located in the heart of Michigan Avenue's best boutiques and brand-name stores, so excellent shopping is literally steps away from the hotel and spa. Tip: Check out the Ralph Lauren mansion adjacent to the hotel — it's designed to look like an age-old residence that happens to be decked out in designer fashions. • All guests must be over 18 years of age to receive spa treatments, but there are a few exceptions. Those who are 16 can book a facial, and there is no age minimum for nail treatments as long as an adult is with anyone under 13. • To use the pool, fitness center and sundeck, spa goers must be either guests at the hotel or have booked two hours of spa services. • The spa has a boutique where you can buy the Simply Peninsula-branded products used in services, plus spa-related items like bathrobes and slippers. Bonus: Here you can also borrow workout attire if you forgot yours at home. • Poolside breakfast and lunch are available from the room service menu before or after treatments. 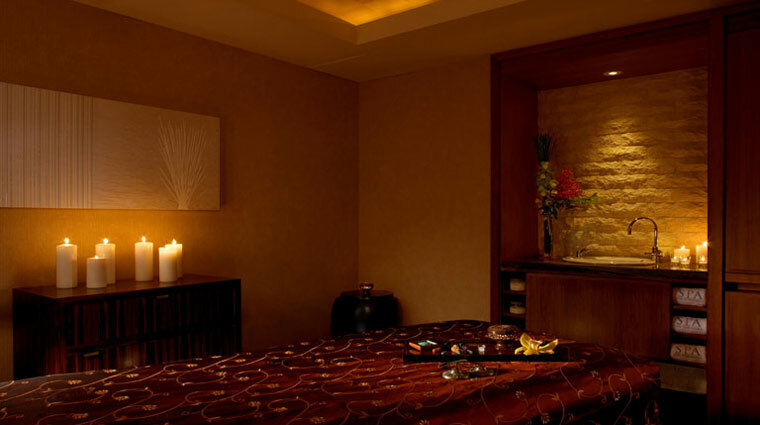 • While a host of treatments (facials, massages, manis/pedis) are available at this luxury city spa, the most special services are inspired by age-old Asian and Ayurvedic traditions. The Jade Hot Stone Massage incorporates the healing properties of jade; the Purva Karma - 4 Hands massage has two therapists working in tandem while using Ayurvedic herbs. • Unique to the Chicago spa is the Uplifting Mint Experience, which includes a foot ritual using Midwest-grown mint, a mint and apricot body scrub, a massage performed with mint-infused oil and a head massage. • There are — count 'em — 15 different facials on the menu, from deep cleansing and anti-aging to peels and one geared towards men only. • The locker rooms have electronic wood lockers, a space to lounge and read magazines. After a treatment, wash off in the tiled and spacious showers and use the complementary dental kit, deodorant, shave kits and luxury bath products. • Also within the locker rooms, you can opt to grab an iced washcloth and accompanying cold cucumbers for a turn in the steam room. • A hot tub is also available for use and it is located, thankfully, near the pool so you can hop in and enjoy the Chicago city views while melting away any remaining tension.